Are you feeling the lightning in the air with the excitement of the season? My girls certainly are. They talk to our Elf on the Shelf on a daily basis and look forward to our Advent Calendar everyday. 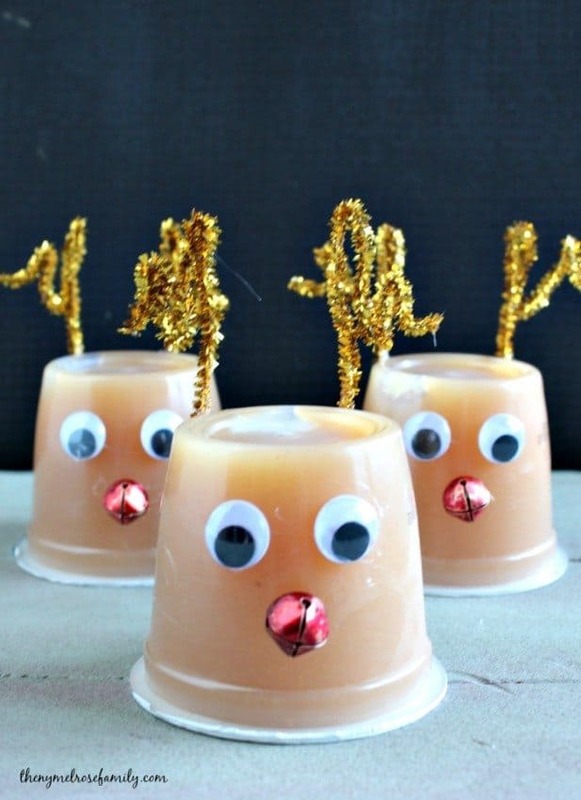 It’s all about making memories for us, which is why this Grinch Sugar Scrub is the perfect fun idea! 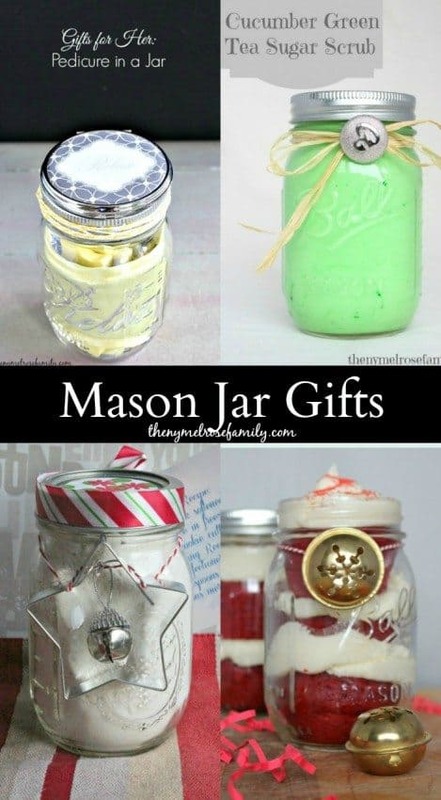 You’ll also want to grab the Glass Jar with Spoon for the sugar scrub. 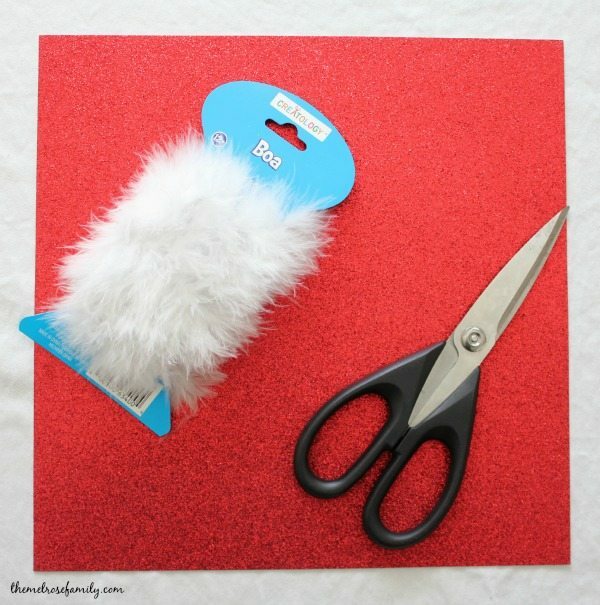 In order to get started, you’ll want to cut the card stock in half. 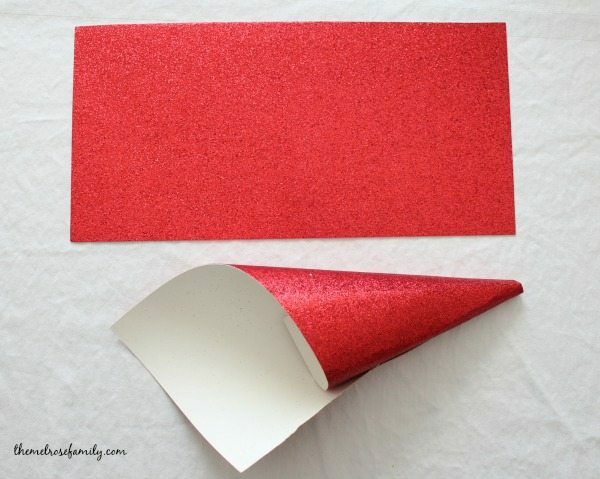 You’ll then fold the card stock so that it creates a dome. Once the card stock is overlapping punch a staple through it to keep it in place. You can leave a slight gap up top so that you’ll be able to stick the boa in the top. Next, you’ll need to level off the dome so that it will sit flat. 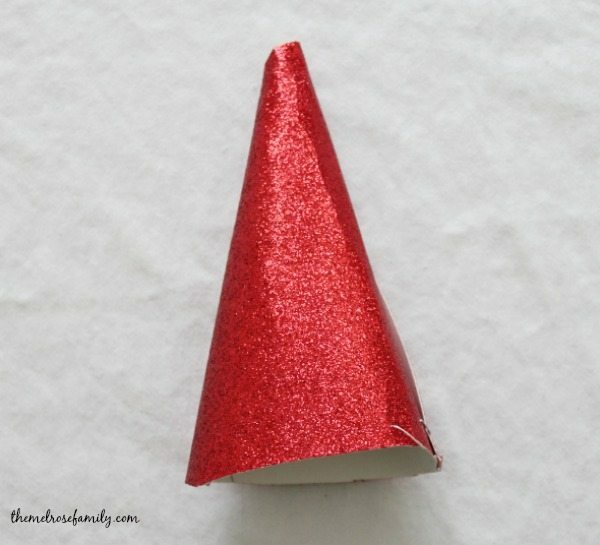 In order to make sure that the santa hat will sit flush, be sure to try it on a flat surface. Once it lies flat, simply hot glue the boa around the bottom of the santa hat and hot glue a small piece of the boa in the gap at the top of the hat. So simple and easy. 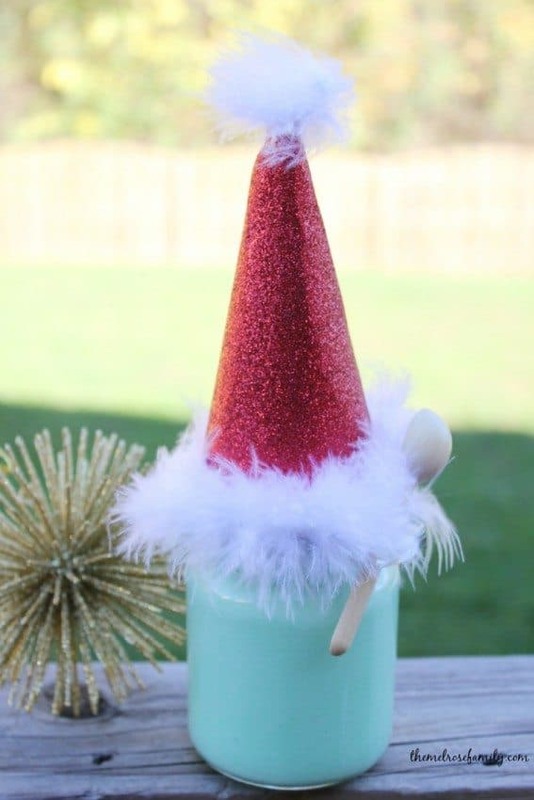 The santa hat would fit perfectly on top of just about any size mason jar. You would just need to adjust the diameter of it depending upon the size of the jar. 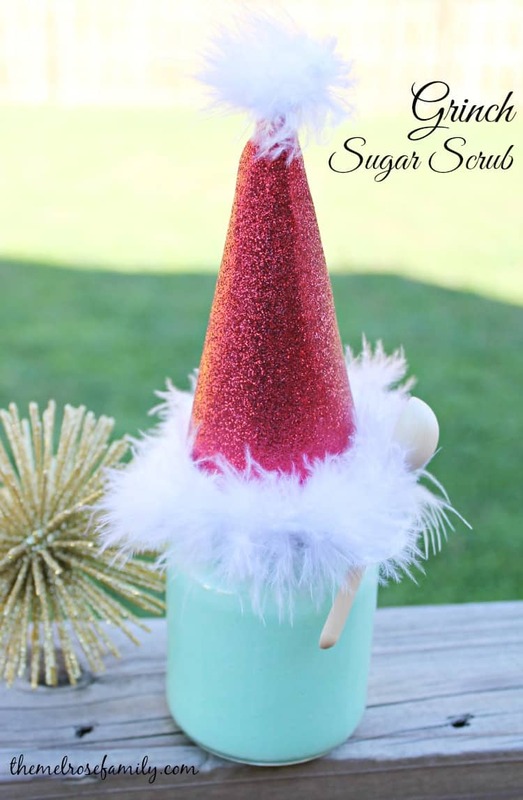 My Grinch Sugar Scrub uses my Cucumber Green Tea Sugar Scrub, which you can find the recipe for HERE. It smells absolutely divine and my girls love using it. My plan is to break out this Grinch Sugar Scrub prior to baths the night that the Grinch premiers on television. 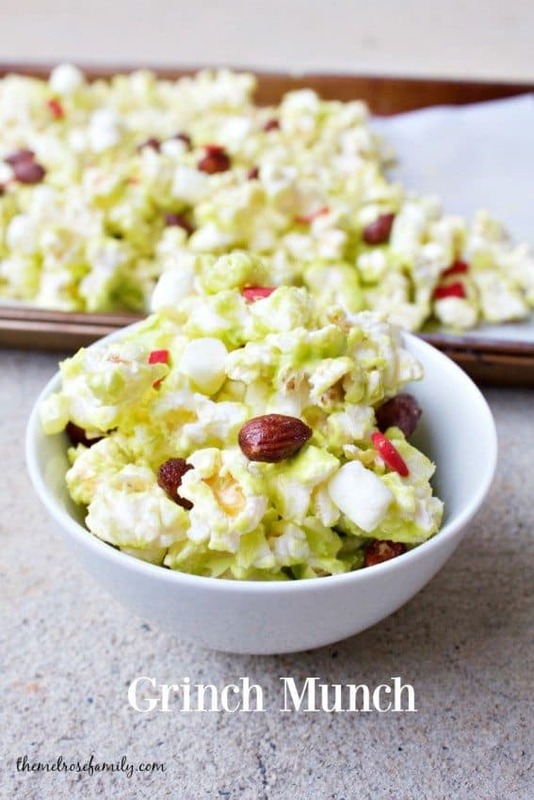 We’ll also be enjoying a large bowl of my Grinch Munch.